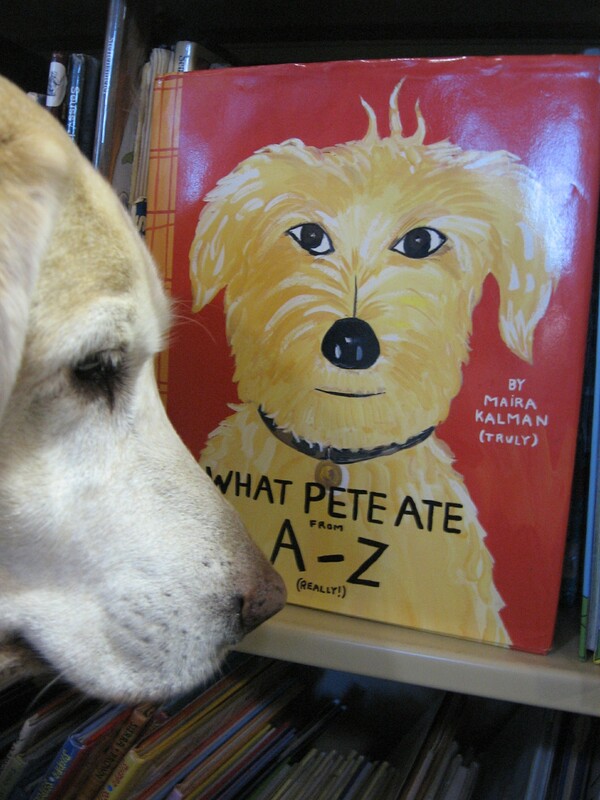 This entry was posted in alphabet books, children's books, dog care, dog training, PPBF, reading dogs and tagged alphabet books, dog behavior, Maira Kalman, What Pete Ate by readingwithrhythm. Bookmark the permalink. What a fun book. And great pictures to accompany. Great idea for an alphabet book. Nice choice. Thank you Ms Tilton! It is a very funny book. Although I’ve never owned I dog I have ‘sat’ for a number of them, and I wish I’d had this book to read so I could have laughed instead of cried after some of their ‘chewable’ choices! I know exactly what you mean. Although I have always been an angel with excellent house manners, we have had dogs stay with us who make me shiver in disbelief! Oh! A Bad Kitty sounds like a good one!! Thanks, I’ll look that one up! I totally understand the goose poop! I get a real smorgasbord of those kinds of delicacies here. Chicken, goat, horse. Yum!! And I just looked at your mom’s book about the blind boy. That looks like a good one that we need to check out. Seeing as how I was a guide dog pup in training once upon a time, we know a lot about the blind world and know a lot of working guide dogs and their folks. This book looks good! Awesome! Mom visited The Seeing Eye with her class when she was a teacher. Seeing eye dogs are wicked smart. My brain is wicked tiny. Rhythm, do you ever give interviews? I don’t know about interviews, but we do a lot of presentations at schools and stuff. 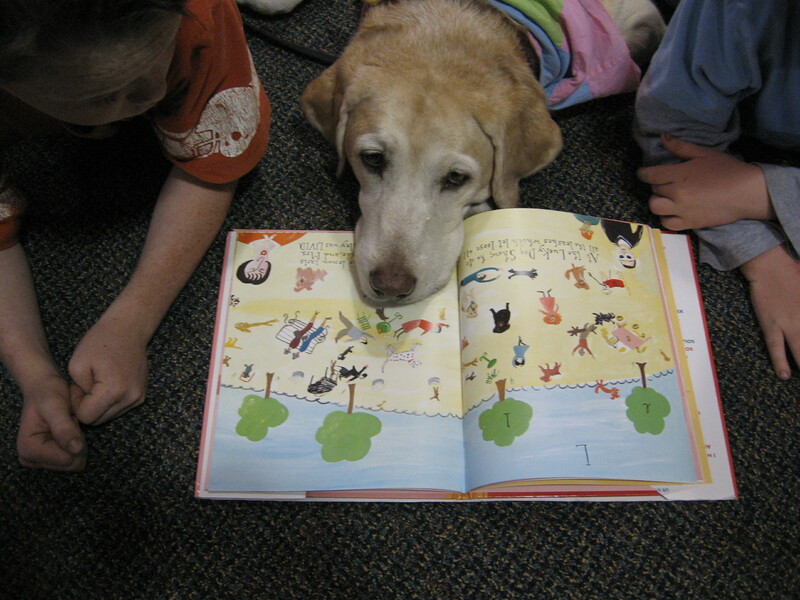 I like to go visit with kids and talk about dogs and books and work. And I’m lucky that I get to do that a lot. Cute! I love books that make learning the alphabet fun. Oh my goodness! What a great book! 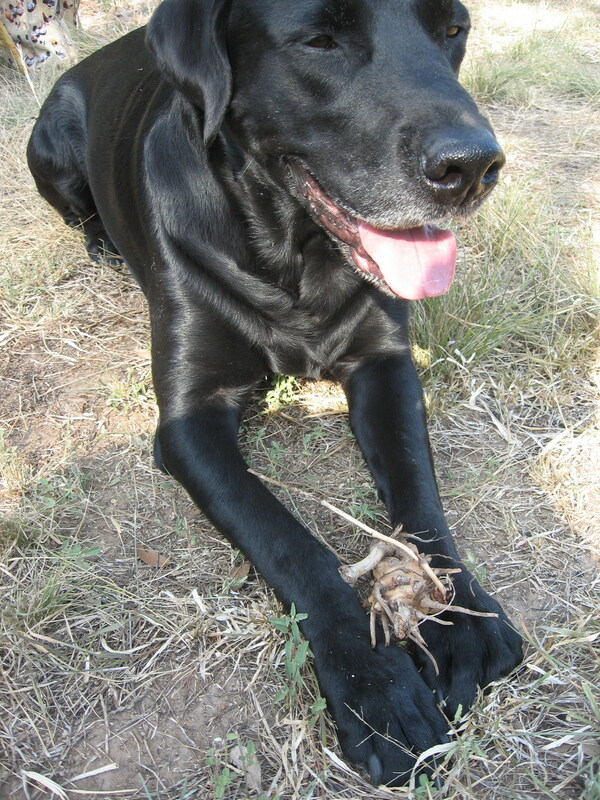 Pete could also be a dalmatian … ours would eat anything and everything — ha ha.